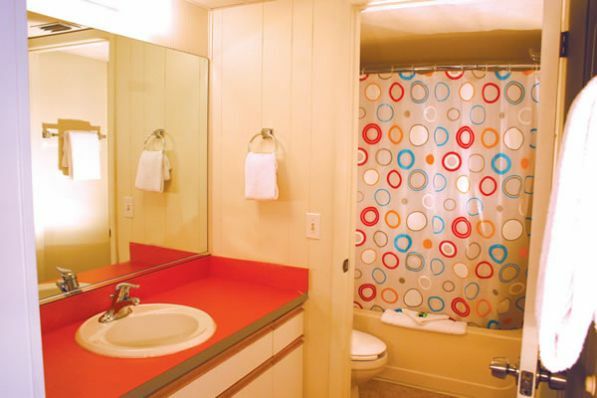 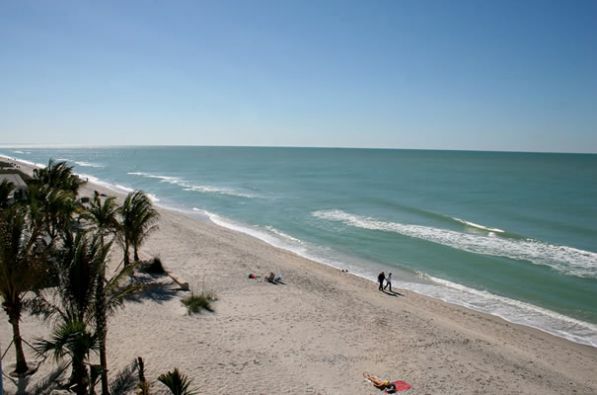 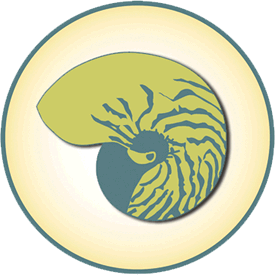 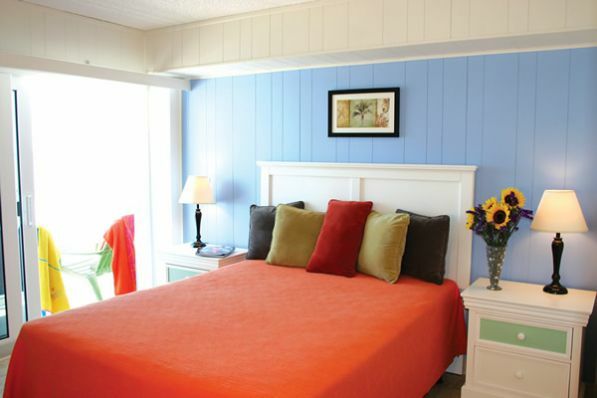 Whether you are viewing The Nautilus from Lemon Bay, from the Gulf of Mexico, or from Gulf Boulevard, the bright colors will be sure to put a smile on your face. 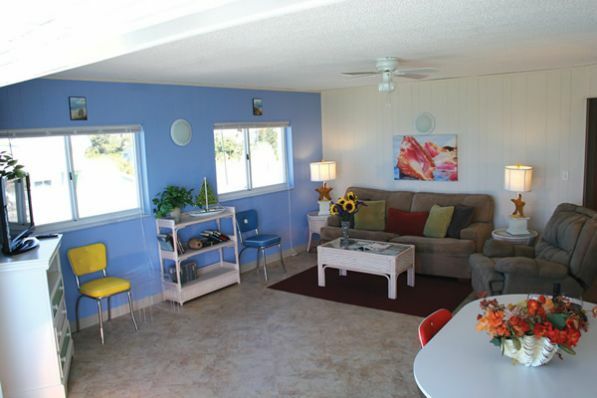 Step inside and you will find amazing views, comfortable retro-styled furnishings and all of the comforts of home. 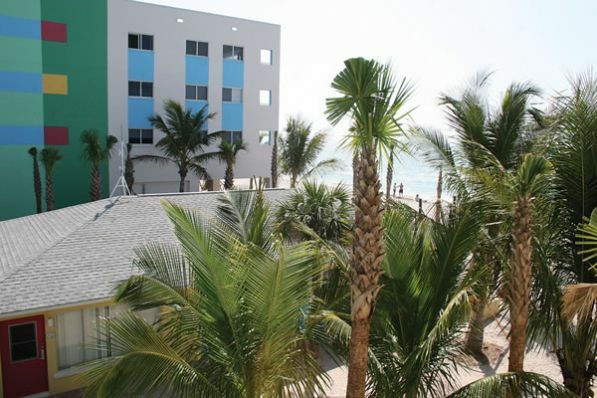 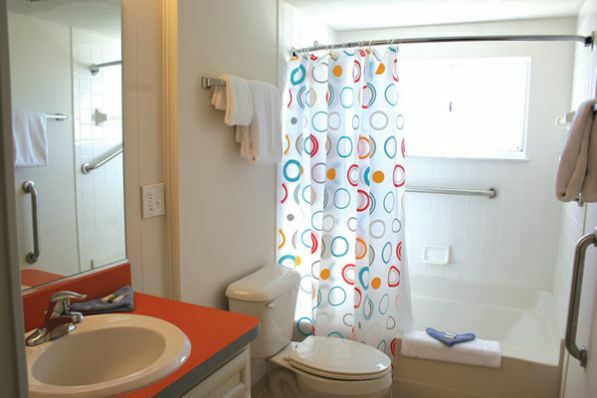 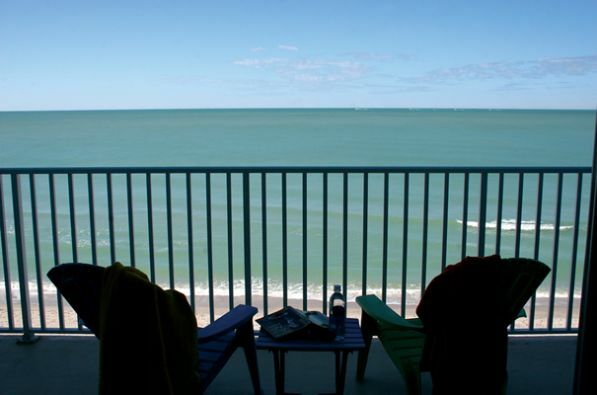 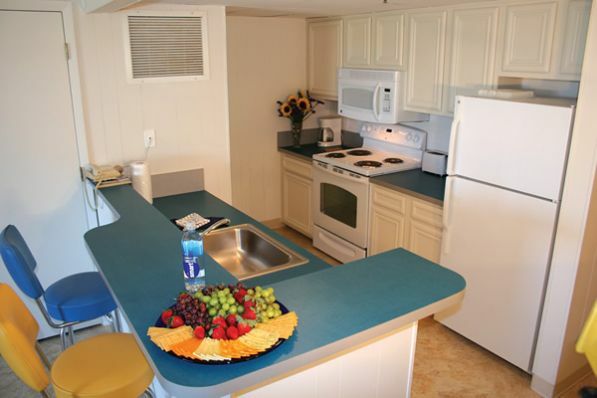 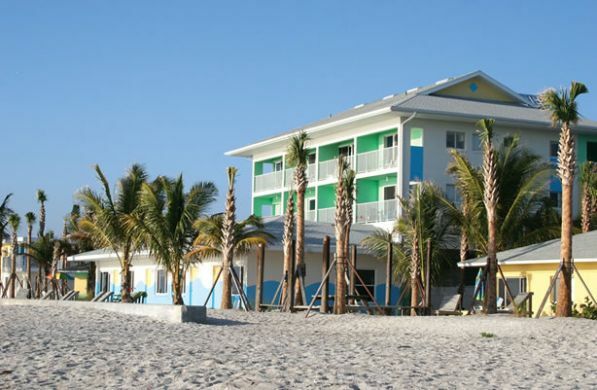 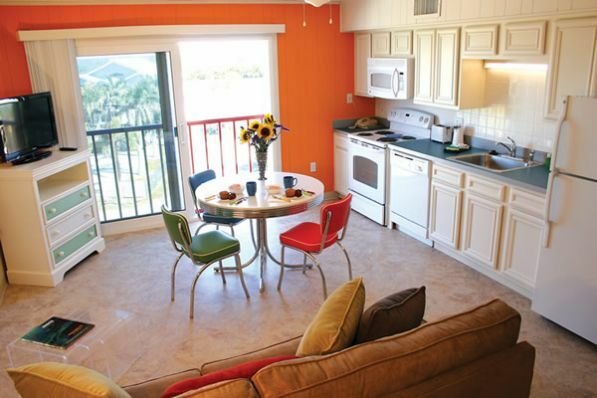 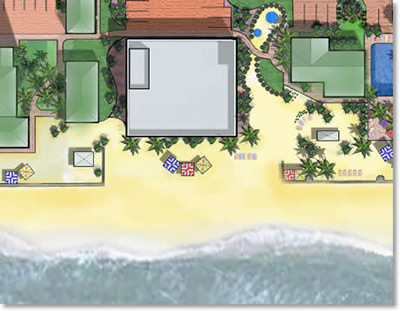 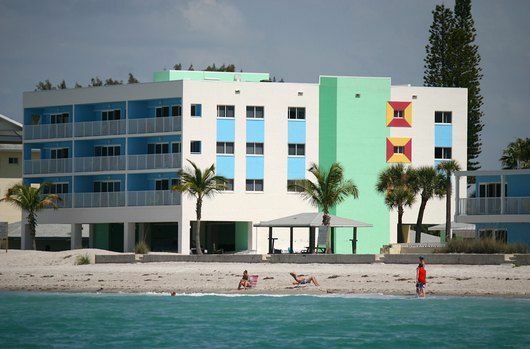 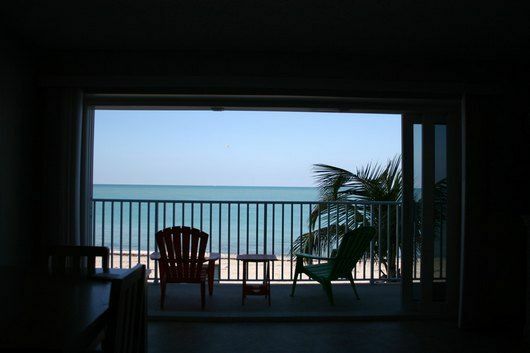 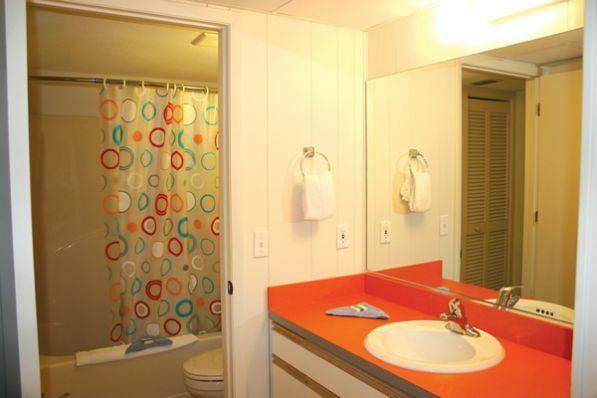 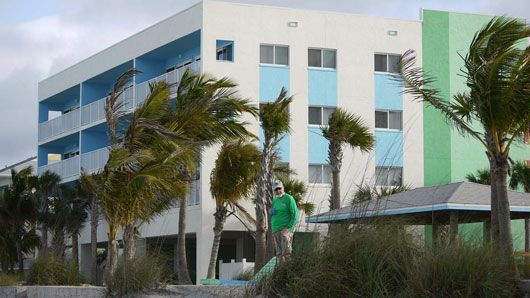 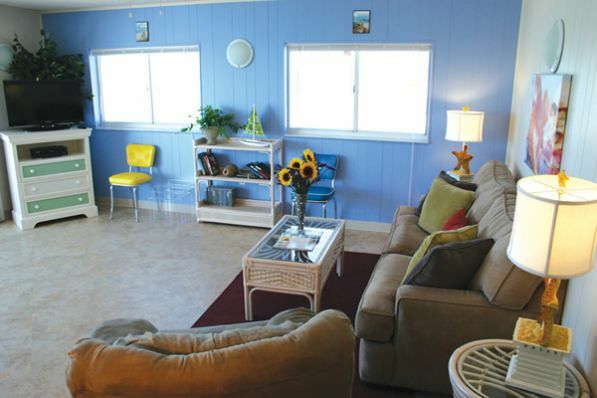 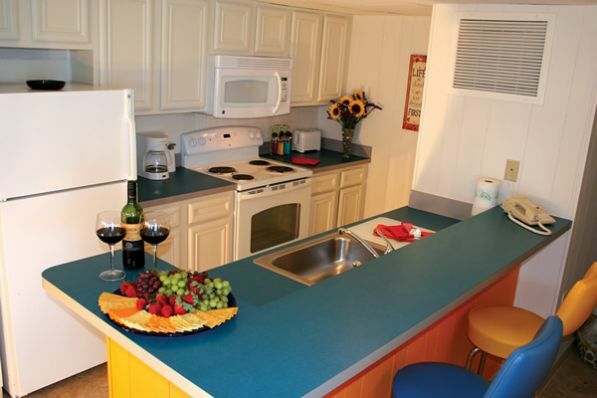 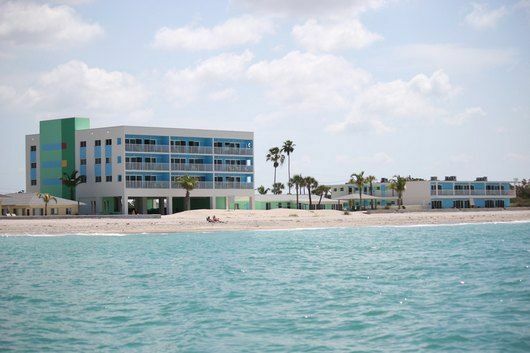 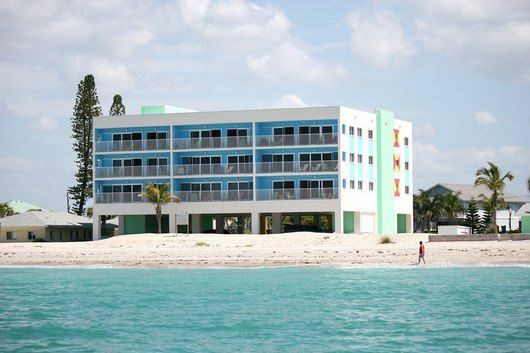 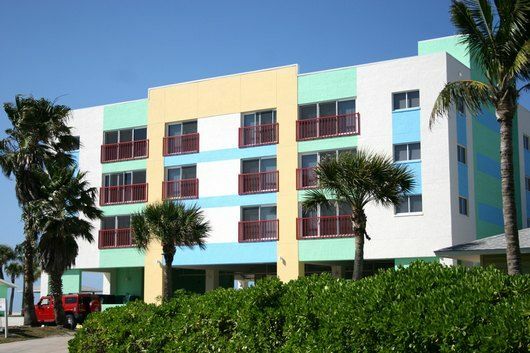 There are both six efficiency units and six 1-bedroom units on the Bay side and nine 2-bedroom units on the Gulf side. 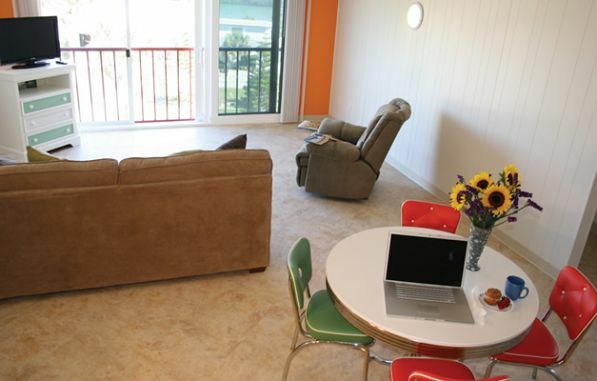 No pets in this building.